A tropical rain forest biome is found in lower altitudes around the earth and expects close to 50-260 inches of rainfall annually. Animals and plants located here have adjusted to this habitat making it more difficult to move to places with less humidity, rainfall and vegetation. The Tasmanian Rain Forests are located in Tasmania, Australia. The Tasmanian Rain Forest is one of the largest cool temperate rain forests in Australia. This cool temperate forest as many others of its kind, are dark, damp, cool and verdant. Tasmania rain forests have cool temperatures year round with four distinct seasons. In winter one can expect he temperature to drop no lower than 54 degrees F. Rainfall on this island follows a very complicated pattern, near the west coast( where most of its rain forests are found) more than 110 inches of rain is expected. Tasmanian Forests are home to over 33 terrestrial mammals and 41 marine mammals. Very few predators and the large amount of intact habitat make Tasmania one of the final refuges to these animals. The Tasmanian mammals are divided into three different categories, the monotremes (egg laying), the marsupials (pouched animals) and the placental mammals. Much more vegetation is found throughout the jungles of Tasmania. This chain of rain forests is not only beautiful and a sight to see, but home to many exotic plants and animals. With its very complex rain pattern and unique climate, these rain forests are one of a kind. Located on an Island in Australia, getting here is very easy and once there, is a once in a lifetime sight. The very diverse habitats that each animal and plant must adapt to is unbelievable. Traveling to this island is a once in a life time opportunity. "Animals and Plants." Discover Tasmania. N.p., n.d. Web. 27 Oct. 2012. <http://www.discovertasmania.com/about_tasmania/animals__and__plants>. "Cool Temperate Rainforest." Forest Education Foundation. N.p., n.d. Web. 27 Oct. 2012. <http://www.forest-education.com/index.php/tasmania/C220/>. "Photo and Video Gallery of Boomajaril and Tasmanian Devils." Photo and Video Gallery of Boomajaril and Tasmanian Devils. N.p., n.d. Web. 27 Oct. 2012. <http://www.devilsonverandah.com.au/photo_video_gallery.htm>. "Rainforest Biomes." Rainforest Biomes. N.p., n.d. Web. 27 Oct. 2012. 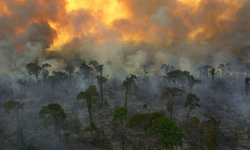 <http://www.blueplanetbiomes.org/rainforest.htm>. "Threats to the Tasmanian Wilderness World Heritage Area." Parks & Wildlife Service -. N.p., n.d. Web. 27 Oct. 2012. <http://www.parks.tas.gov.au/index.aspx?base=667>. "Visit Australia." Climate in Tasmania. N.p., n.d. Web. 27 Oct. 2012. <http://www.visitaustralia.com/blog/archives/166>.